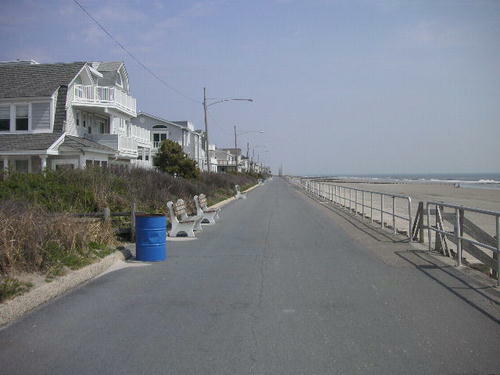 Promenade runs from 29th Street to 57th Street. 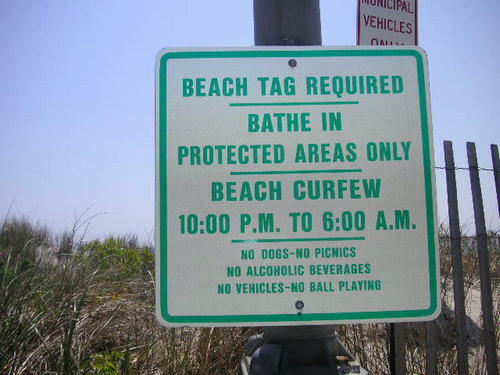 About 1. 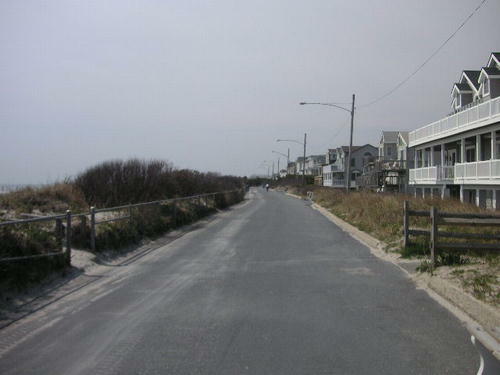 5 miles long. 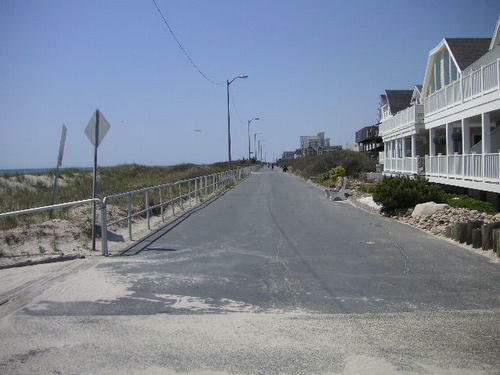 This is a paved walkway. 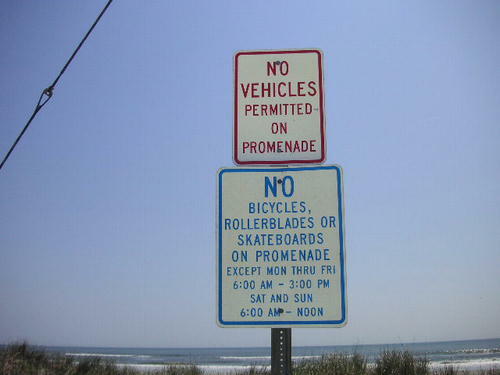 No cars permitted. 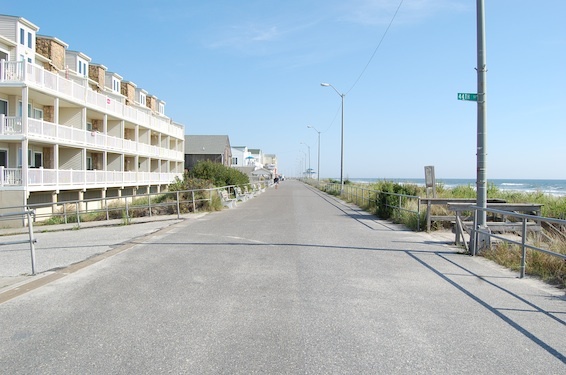 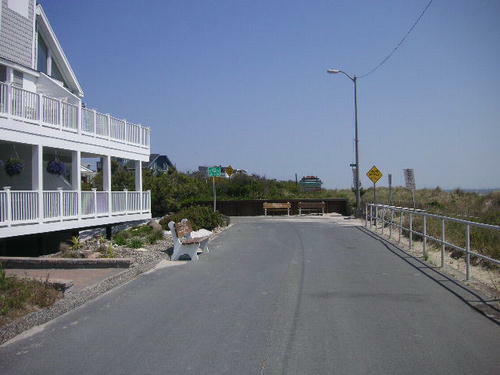 All the numbered streets intersect with the beach and have public beach access. 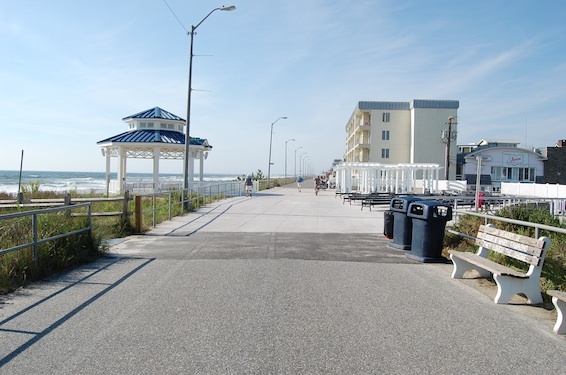 The Promenade is where you can experience white, sandy beaches and a glimmering ocean as you take your morning walk or bicycle ride. 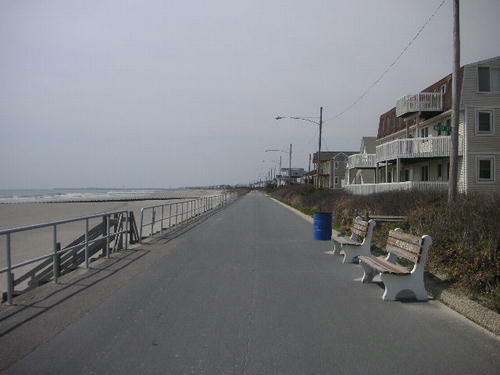 It is where you can take a leisurely stroll on a July afternoon and sit back and take in the summer. 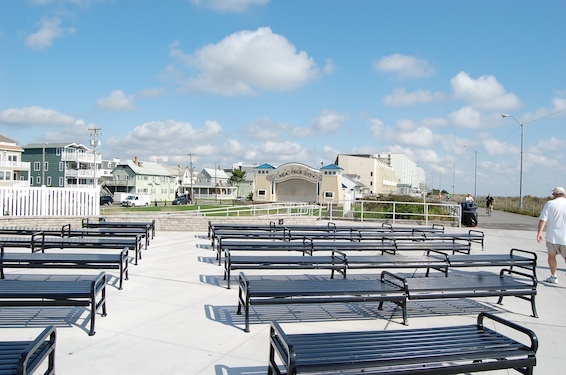 It is where you and your family can enjoy a pleasant family outing. 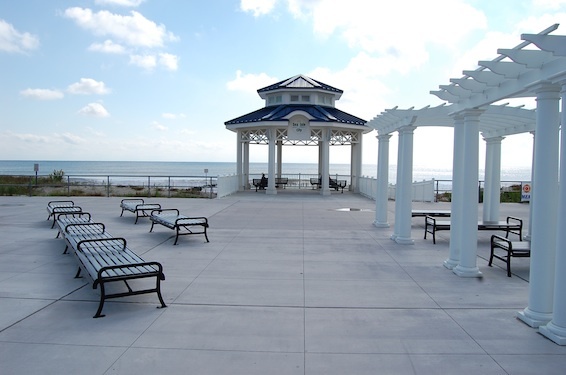 You may want to visit the many shops and eateries along the Promenade or attend one of the summer concerts at the Pavilion. 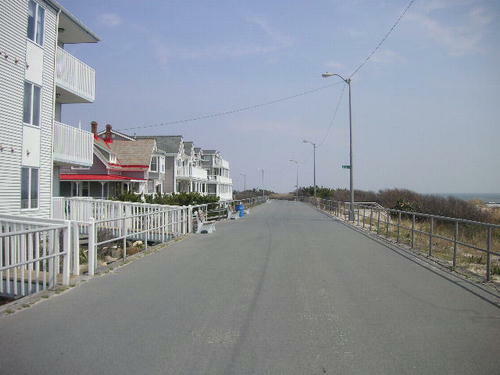 All the while, you can smell the fresh salt air mingled with the smell of popcorn and pizza and hear the rumble of the ocean waves. 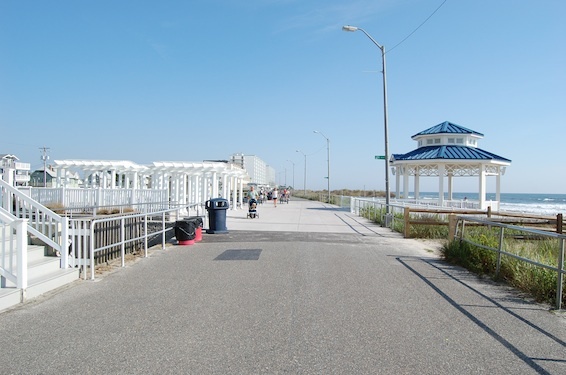 It is a summer "boardwalk" experience that is relaxing - not overly crowded or hectic. 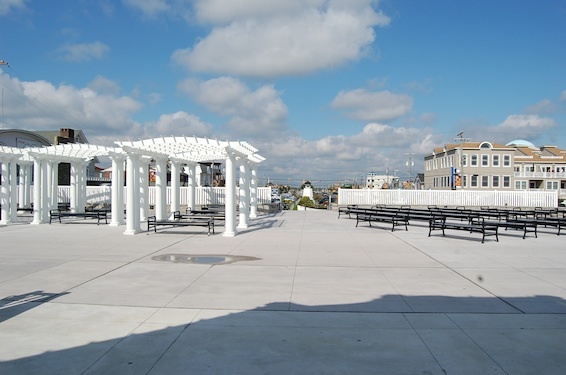 It is where you can take a break from it all on a cool autumn day. 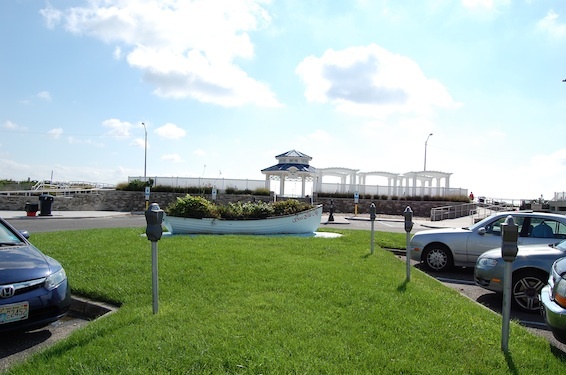 Take a brisk walk, or just sit back and watch the sandpipers scuttle back and forth along the water's edge. 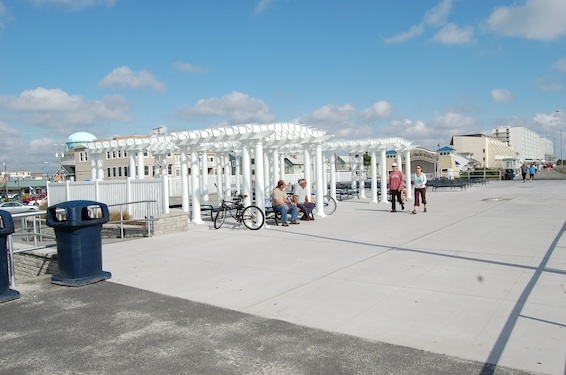 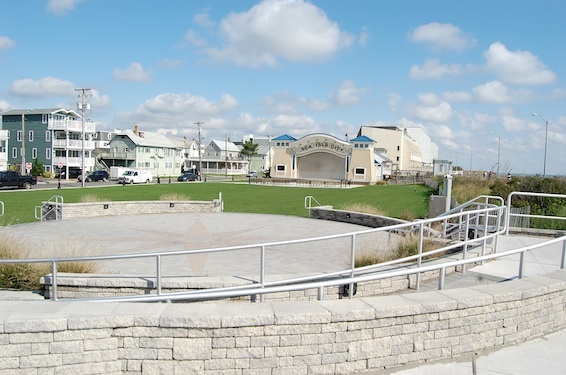 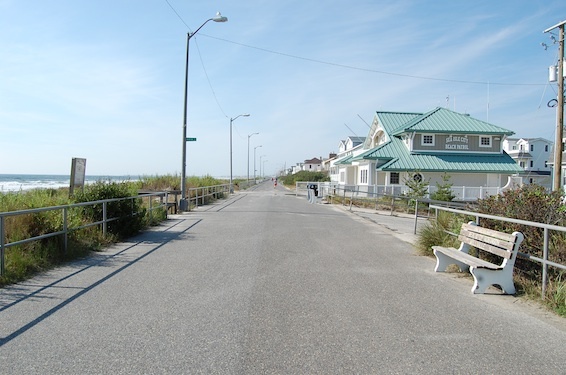 Experience a walk along the ocean side in a pathway like no other at the Jersey Shore. 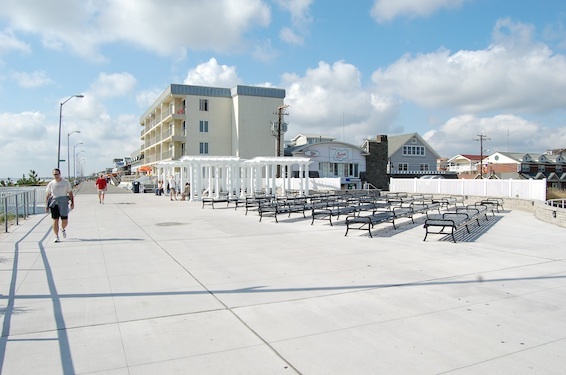 Be sure to take note of the many fine stores, restaurants, bike rental shops located along the Promenade area to help you plan your stay in Sea Isle City, NJ. 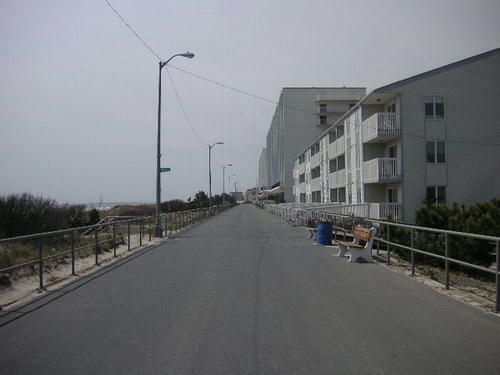 29th Street to 34th Street has residential houses along the Promenade. 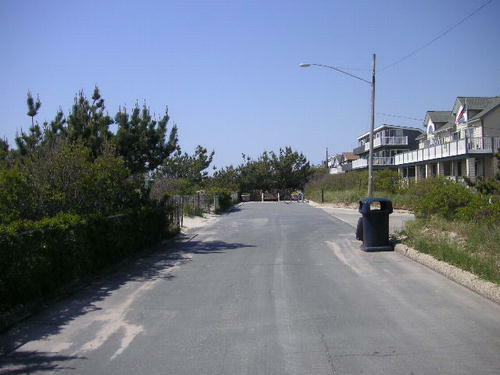 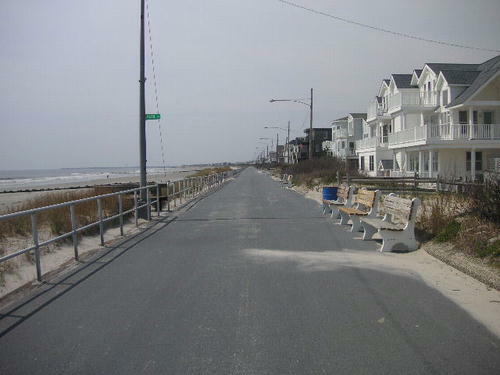 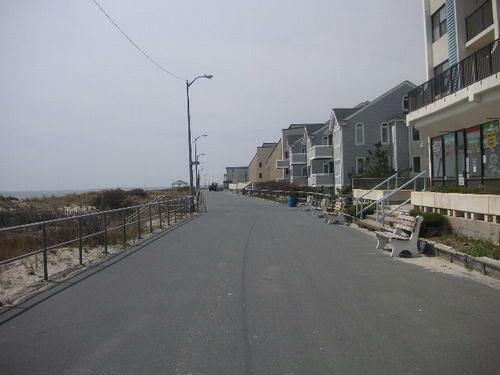 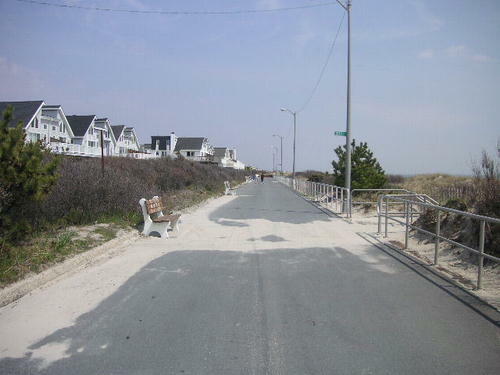 29th Street to 33rd Street has a wide dune between the houses and the Promenade. 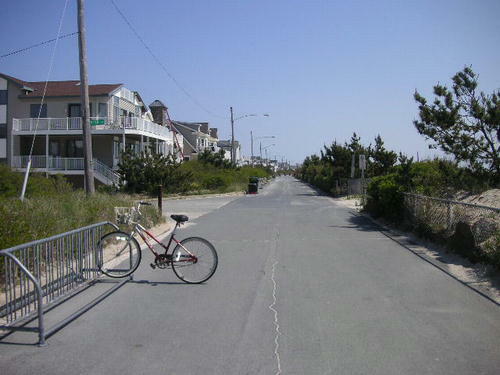 34th Street to 43rd Street has small stores (shopping, fast food) and some small condos along the Promenade. 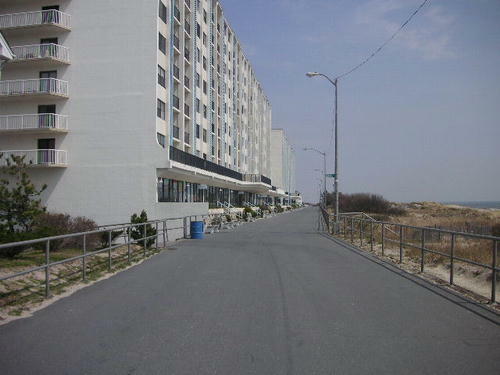 33rd Street to 43rd Street - The bulidings sit right on the Promenade. 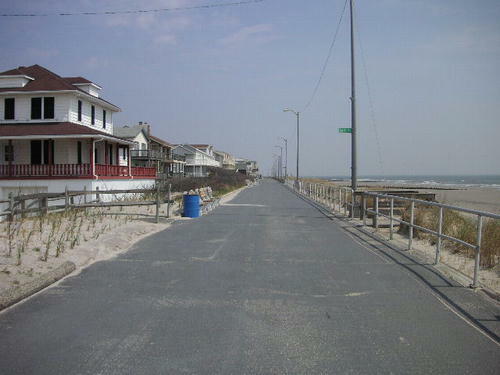 44th Street to 57th Street has residential houses along the Promenade. 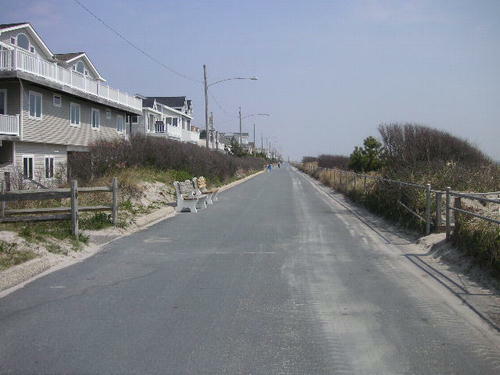 43rd Street to about 50th Street has a very little dune between the houses and the Promenade. 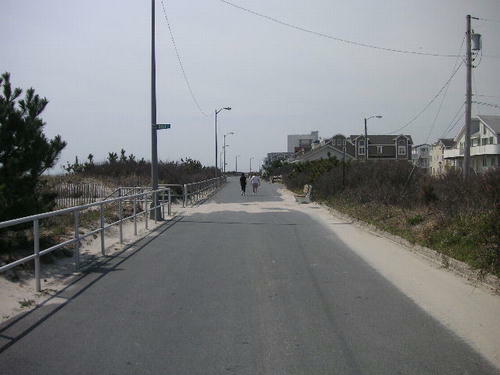 50th Street to 57th Street has a small dune between the houses and the Promenade.